Learnlight is an EdTech company that provides language and skills training to learners in more than 150 countries. Our award-winning learning platform delivers blended, virtual, face-to-face, and digital training programs to clients worldwide. We're an EdTech company that’s passionate about putting trainers at the heart of the learning experience because that’s what delivers life-changing impact. We use award-winning technology to deliver language and skills training online and on the ground, to learners in more than 150 countries. Learnlight was founded in 2007 with a dream to bridge the gap between the disparate worlds of education and technology. Our vision was to create an ‘EdTech’ company that harnessed cutting-edge technology to optimize instructor-led training (ILT) rather than replace it, as so many traditional eLearning providers have tried and failed to do. Our obsession was, and continues to be, empowering talented trainers to create transformative learning experiences, because, at the end of the day, we think people are the real ‘killer app’. Since our early years as a digital start-up, we’ve worked with hundreds of clients around the globe; launched more than 10 major versions of our platform; merged with Training Express, a pioneer of blended language learning; built a team of more than 200 incredible people; and most recently acquired Communicaid, one of the world’s leading experts in specialized language, intercultural and communication skills training. 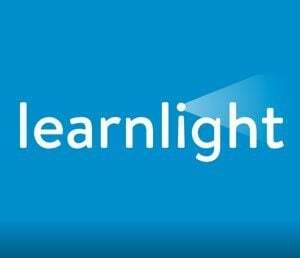 Read reviews and discover other eLearning Industry community members's experience with Learnlight.